I've mentioned several times how much I love IKEA. And today I wanted to share a couple of IKEA pieces that I am currently using around my home. When people think of IKEA, modern-looking furniture is usually what comes to mind. I am really more of a fan of traditional pieces, and it may surprise you to know that IKEA has several pieces that fit with a more traditional or transitional aesthetic. And, as always, they work well for people trying to decorate on a budget. 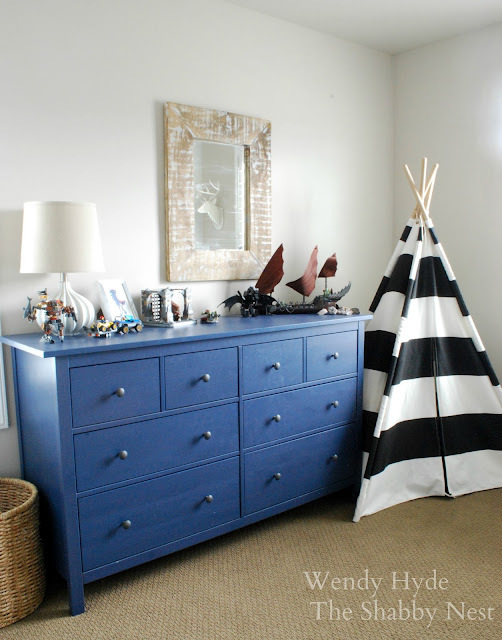 Let's take this adorable Hemnes dresser that I am currently using in my little boys' bedroom. It comes in several colors, but I chose this great navy blue which is perfect for the space and it has plenty of storage for two little boys' clothes. 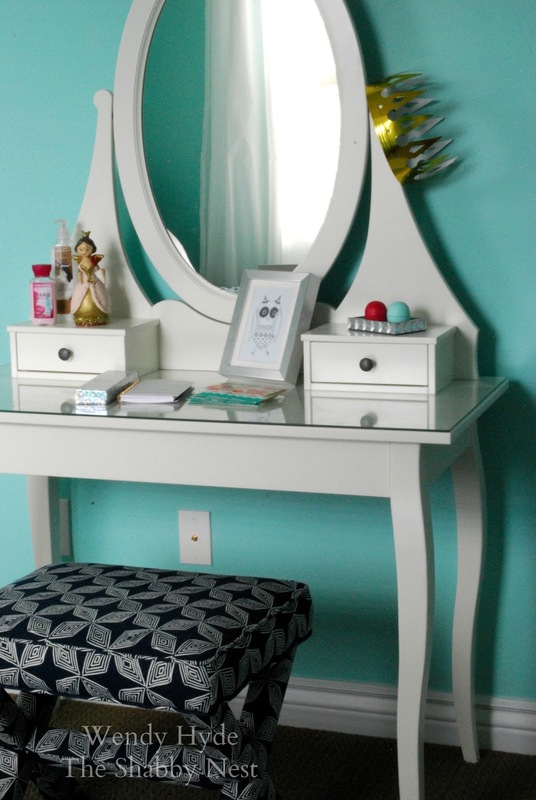 In my daughter's room, we are using the adorable Hemnes vanity table. The lines are so pretty and it is perfect for a teenage girl with its two little storage drawers and a larger drawer underneath! Here is my master bedroom from my previous home where I used two smaller Hemnes dressers as bedside tables. Dressers are a great idea for bedside tables because they not only look amazing, they provide a ton of storage as well. 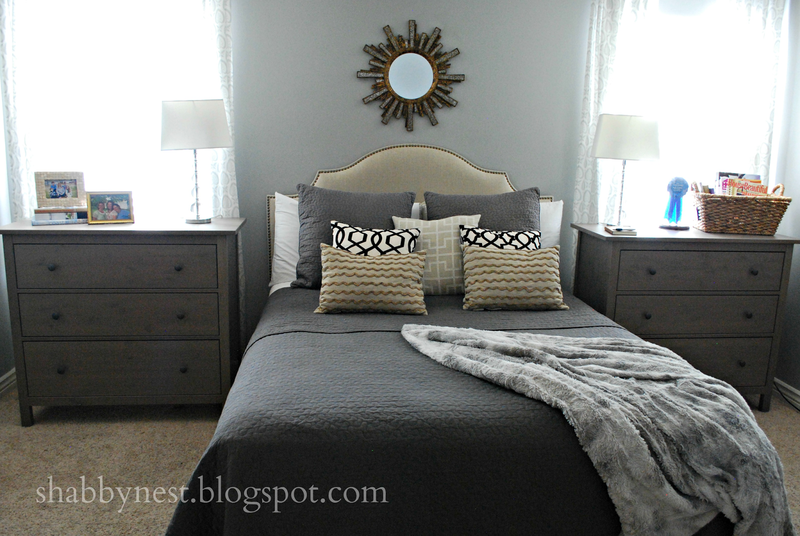 The Hemnes line is one of my favorite at Ikea, but there are several others that have a more traditional look as well. For example, I have been using the Ektorp sofas for several years and love the fact that I can switch up the colors by changing slipcovers. So if you have a more traditional design aesthetic like I do, make sure you check out Ikea...there are several items that you can use in your home. I was provided with the Hemnes Dressers and Dressing Table at no charge. However, the opinions expressed about IKEA are 100% mine. I love IKEA! We were in Ikea the other night and I saw this dresser and fell in love with it. Fell in love with lots of things come to think of it!! : ) Have a beautiful week ahead! !